Step 1: First log into your Customer Focus Ultimate system. 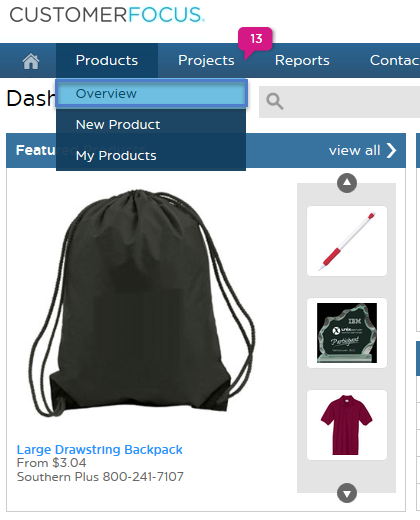 Step 2: Hover over the Products tab and click on "Overview". Step 3: You will now see the Products screen. 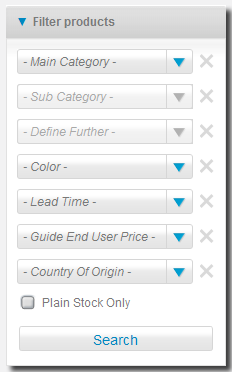 This guide will concentrate on the basic Search box at the top left of your screen and the Filter Products box below it. Step 4: In the top Search box type in what you are looking for in the text box at the top of the search module as shown below. You can use the drop-down to specify how you want the search to work. 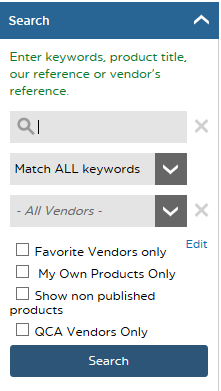 Choose to search for products with the word you have added anywhere in the description. 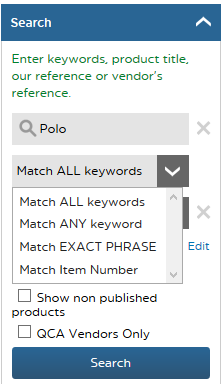 You can add two words such as 'Polo' and search for all keywords anywhere in the description. You can also search for exact phrase. 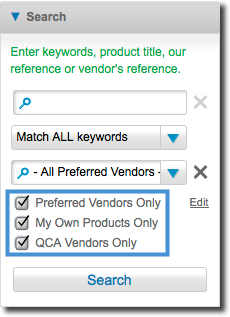 Step 5: You can choose to only show products from one Vendor using the second drop-down. 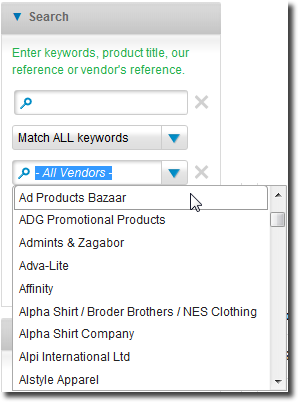 Step 6: You can also choose to filter by your preferred vendors only and also by products you have added by 'checking' the relevant box. 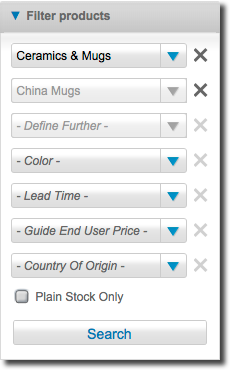 Once you are happy with your search criteria, click Search and any relevant products will be displayed. 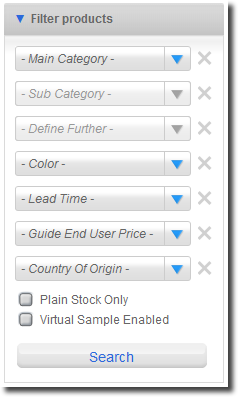 Step 7: The second (Filter Products) search box allows you to filter by Category, Sub-category, color and other options from the dropdowns you have added by checking the relevant box.